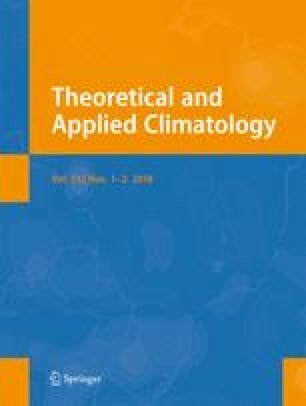 Large intraseasonal rainfall variations are identified over the southern South China Sea (SSCS), tropical southeastern Indian Ocean (SEIO), and east coast of the Philippines (EPHI) in boreal winter. The present study contrasts origins and propagations and investigates interrelations of intraseasonal rainfall variations on the 10–20- and 30–60-day time scales in these regions. Different origins are identified for intraseasonal rainfall anomalies over the SSCS, SEIO, and EPHI on both time scales. On the 10–20-day time scale, strong northerly or northeasterly wind anomalies related to the East Asian winter monsoon (EAWM) play a major role in intraseasonal rainfall variations over the SSCS and EPHI. On the 30–60-day time scale, both the intraseasonal signal from the tropical Indian Ocean and the EAWM-related wind anomalies contribute to intraseasonal rainfall variations over the SSCS, whereas the EAWM-related wind anomalies have a major contribution to the intraseasonal rainfall variations over the EPHI. No relation is detected between the intraseasonal rainfall variations over the SEIO and the EAWM on both the 10–20-day and 30–60-day time scales. The anomalies associated with intraseasonal rainfall variations over the SSCS and EPHI propagate northwestward and northeastward, respectively, on the 10–20- and 30–60-day time scales. The intraseasonal rainfall anomalies display northwestward and northward propagation over the Bay of Bengal, respectively, on the 10–20- and 30–60-day time scales. This study is supported by the National Key Basic Research Program of China grant (2014CB953902), the National Key Research and Development Program grant (2016YFA0600603), the National Natural Science Foundation of China (Grant Nos. 41475081, 41275081, 41505048, and 41461164005), and the LASW State Key Laboratory Special Fund (Grant No. 2015LASW-B04). The TMI data were obtained from http://www.remss.com/missions/tmi. The GPCP data were obtained from https://climatedataguide.ucar.edu/climate-data/. The NCEP reanalysis 2 data were obtained from ftp://ftp.cdc.noaa.gov/. The ECMWF Interim data were obtained from http://apps.ecmwf.int/datasets/.